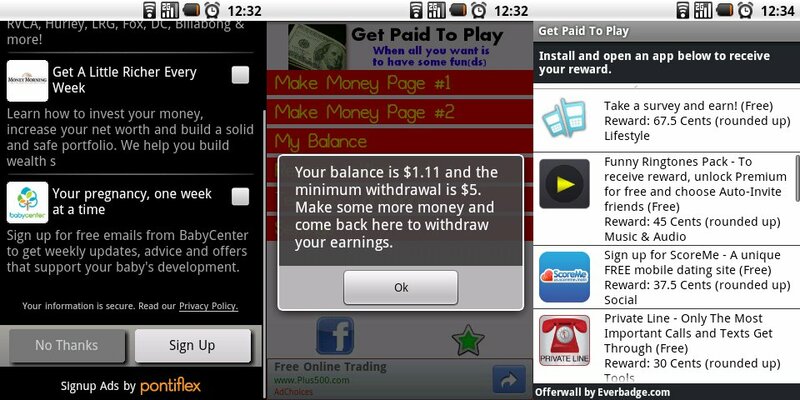 After looking a few ways to monetize free Android apps I randomly found a some apps to make a some cash just by installing games on your Android phone. 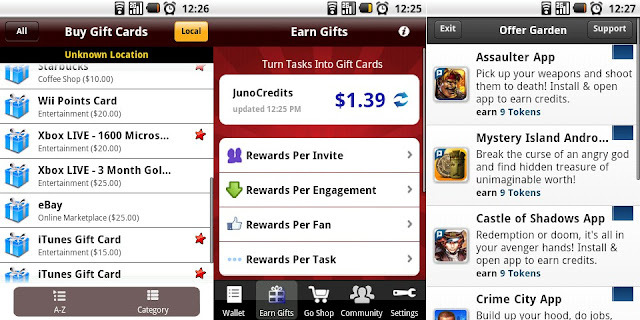 With this app you can earn cents for installing apps,reffering friends and and liking some Facebook pages. It offers various gift cards like Starbucks,iTunes and eBay. Use my invite code GK1073101 to get a instant 0.25$ into your account. This app is for gamers and you get a gold for installing apps,completing offers or buying some stuff. 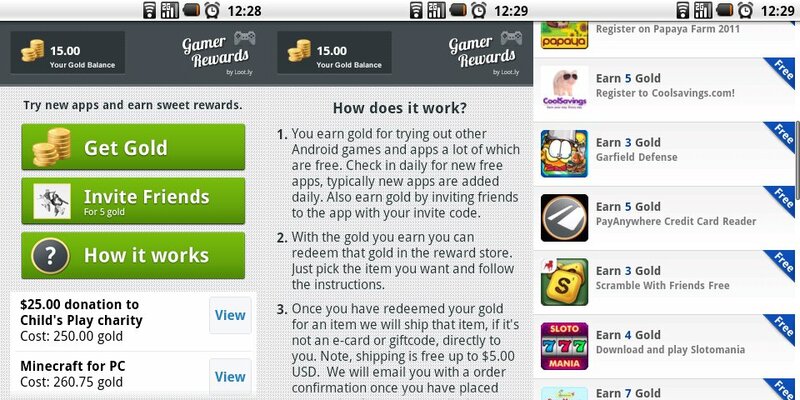 It takes a while to get a enough gold to redeem gifts cards and games. For gold you can get a Nintendo,XBox Live gifts cards some PC and Xbox games like Minecraft. Too bad it doesn't offer a Amazon Gift Cards. Use my invite code 06U4IS2ZD20SCK and we both will get a 5 Gold coins bonus! And the last app is quite the same as the first one just doesn't have a much offers. You will be earning a real cents and will be able to withdraw them into PayPal if you collect at least 5$ using it. It offers to sign-up for offers by email,but you wouldn't get any cents for that so I always press "No Thanks!" Other app to try is a Free Money Factory . It requires a Android 2.3 so I wasn't able to try it on a real device. Use a my invitation code 136702 and earn extra 600 points. And if you are an apps developer you should definitely read a this blog for monetizing your apps. You might be also interested in a MoMinis Studio - a free game maker for mobile games. Have fun!